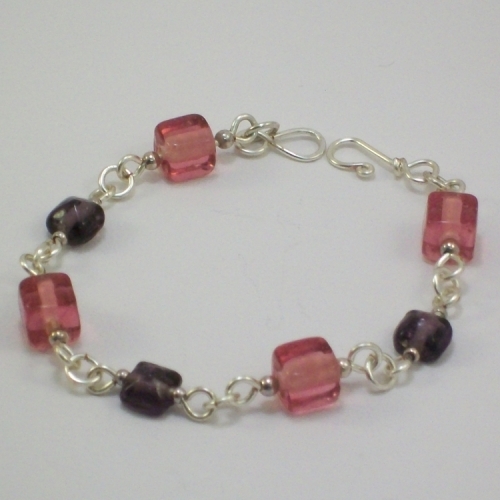 Delicate looking ladies bracelet made using pink glass cube beads interspaced with small purple beads. 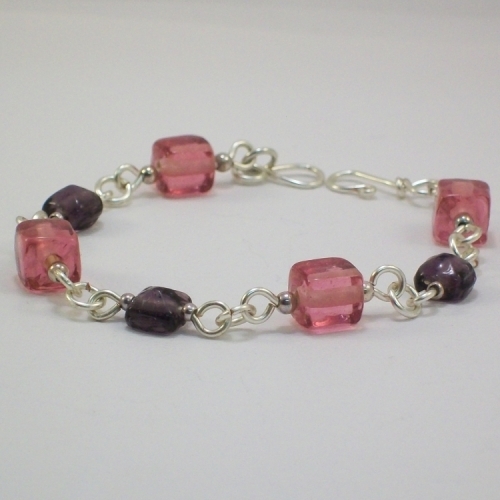 All joined on handmade links made using silver plated wire. 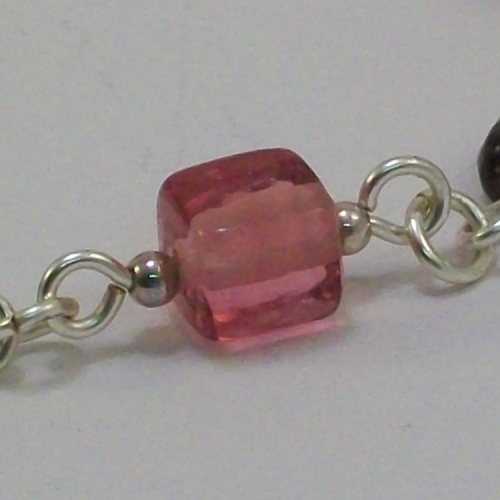 Finished with a hand made hook clasp. 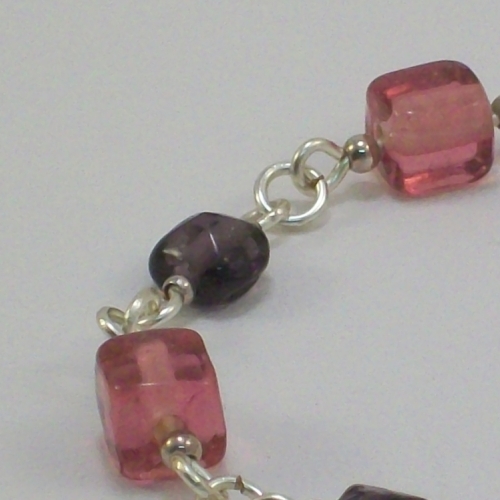 Bracelet measures 20cm in length.